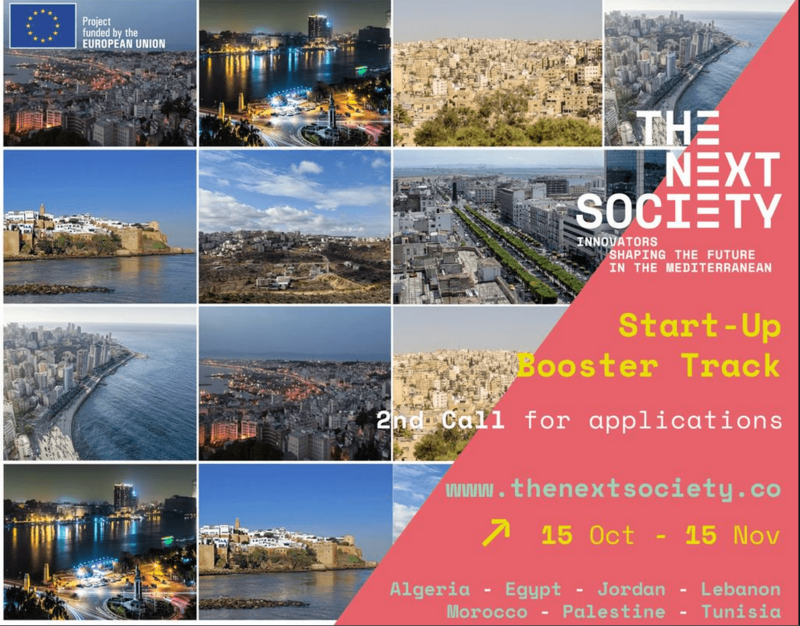 THE NEXT SOCIETY Start-up Booster Track Program 2018 for Business Owners in the MENA area. THE NEXT SOCIETY releases its second require applications to sign up with the Start-up Booster Track, the custom-made assistance program for business owners in the MENA area. Through this require applications, gifted business owners and ingenious services will be chosen to form the second promo of start-ups that will gain from the program to enhance their ingenious options. THE NEXT SOCIETY Start-up Booster Track deals custom-made assistance to Mediterranean start-ups to assist them go global and raise funds through workshops and training sessions, immersion into foreign markets and incubation in European development centers, conferences with financiers and long-lasting training by dedicated coaches. Start-ups require to be developed in Algeria, Egypt, Jordan, Lebanon, Morocco, Palestine or Tunisia. 21 start-ups will be chosen to sign up with the very first promo of THE NEXT SOCIETY start-ups.